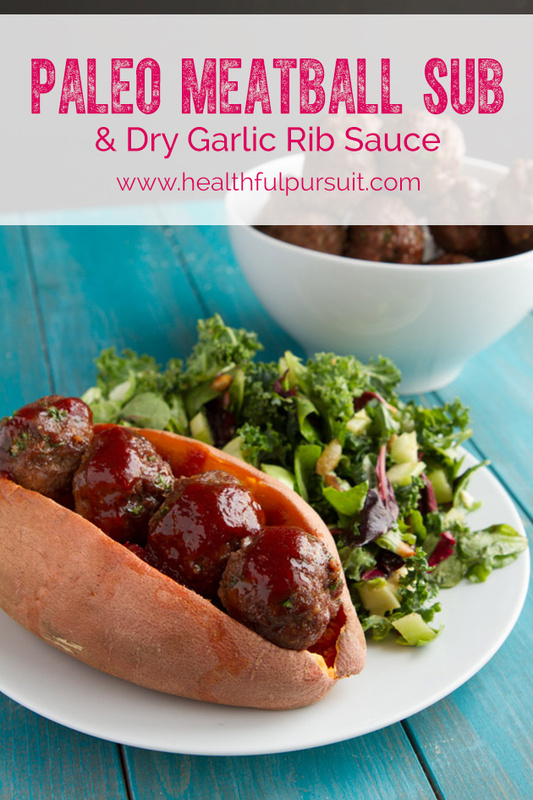 Oven-baked paleo meatball recipe with homemade dry garlic rib sauce added to the mix for a super delicious, moist meatball. 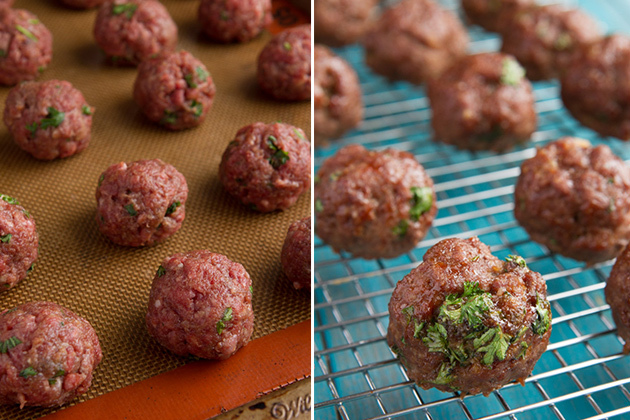 This meatball recipe has been in my family for generations. When I was 7, Mom told me that my children’s, children’s, children would be making these meatballs, far after I’m gone. Intense? Maybe. But after you’ve made these meatballs for you and your family, you’ll totally agree with my Mom. 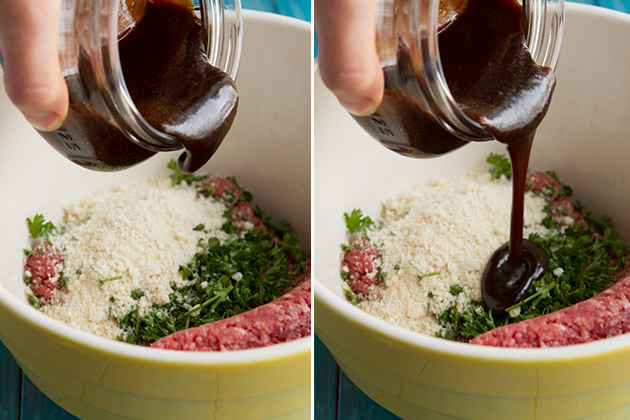 This recipe is a win. 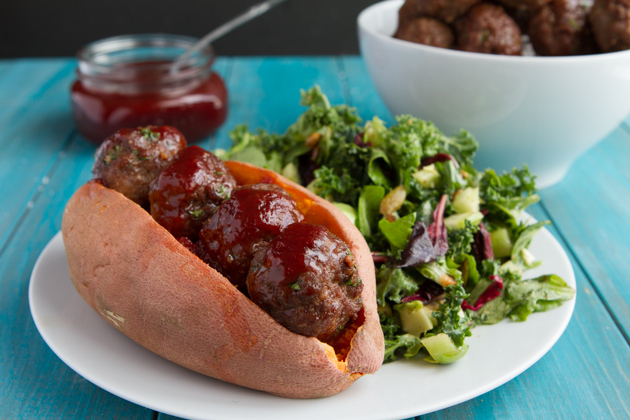 Oh, and; unlike serving these meatballs with toothpicks and dipping sauce, I sandwiched them in a “sweet potato bun” — a grain-free, antioxidant-rich alternative to the classic meatball sub. 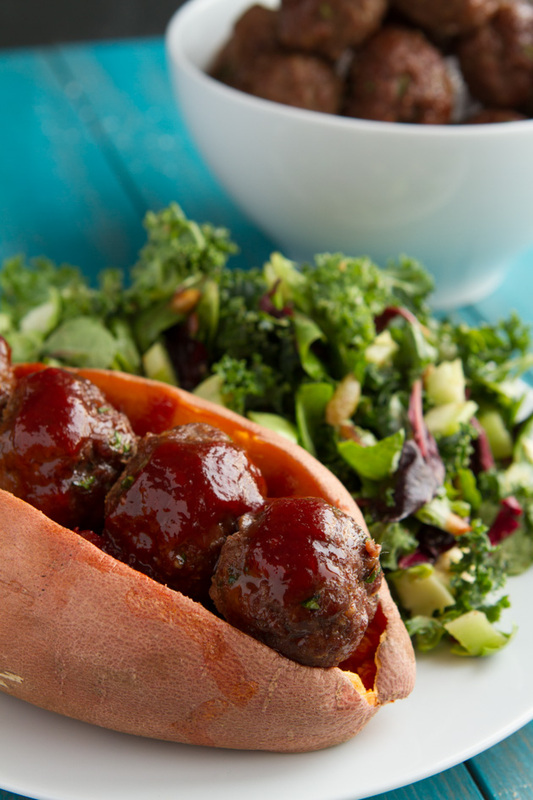 Then, cut sweet potatoes in half, lengthwise, and sandwich 4 meatballs between each "sub". 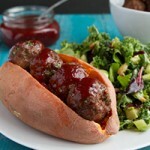 Drizzle with BBQ sauce and serve. 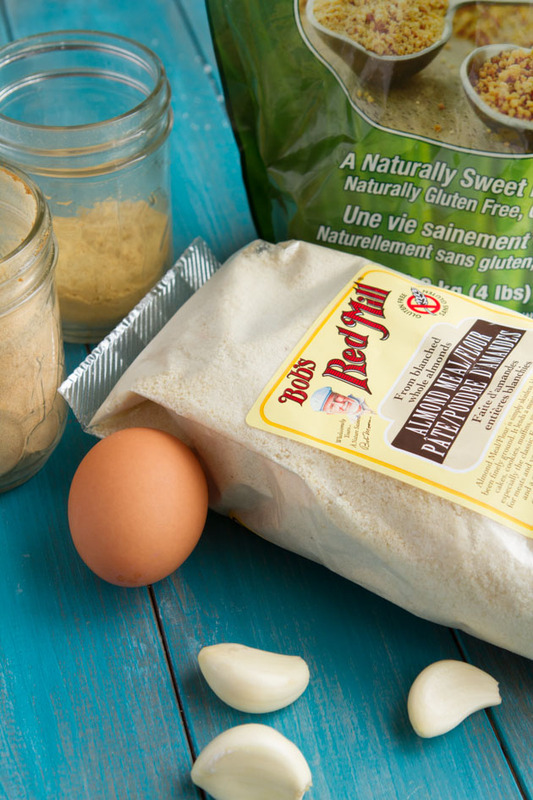 Almond Flour: I tested this recipe without any flour or binder at all and it didn't work. Something needs to be used to hold everything together. If you are NOT grain-free, you could use gluten-free breadcrumbs, quinoa flakes or perhaps oat bran. I have not tested these options. If you ARE grain-free, you could try finely-ground sunflower seeds or pumpkin seeds. Egg: I tested this recipe without eggs and it didn't hold together as well as I would have liked. It still "worked" but was a bit sloppy. Almond flour or meal will do just fine in this recipe. Another ground flour may be good, too! Just look at how thick and authentic the dry garlic rib sauce is. I’ll for sure be making the recipe again and using it on a rack ‘o ribs! 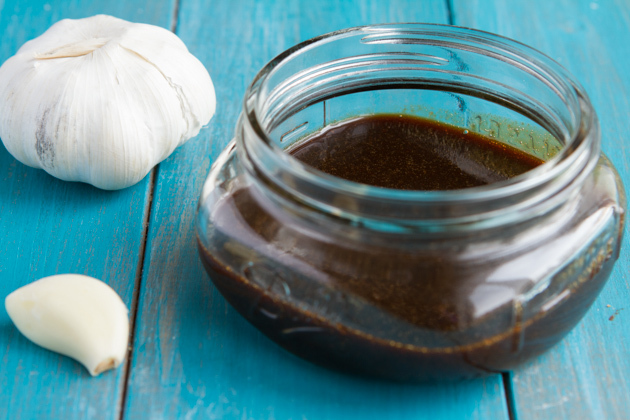 What recipe has been in your family for ages that you either still make, or haven’t made in awhile because of your food allergies or sensitivities?